Planning your Halloween Night Out! Halloween is one of the biggest nights of the year, but making plans doesn’t have to be as scary as it sounds! Despite being disregarded by our parents as nothing more than Americanised nonsense, Halloween has quickly become one of the UK’s biggest and best nights of the year. Clubs and venues up and down the country get into the spooky spirit of things and host parties and events of almost every size and theme. 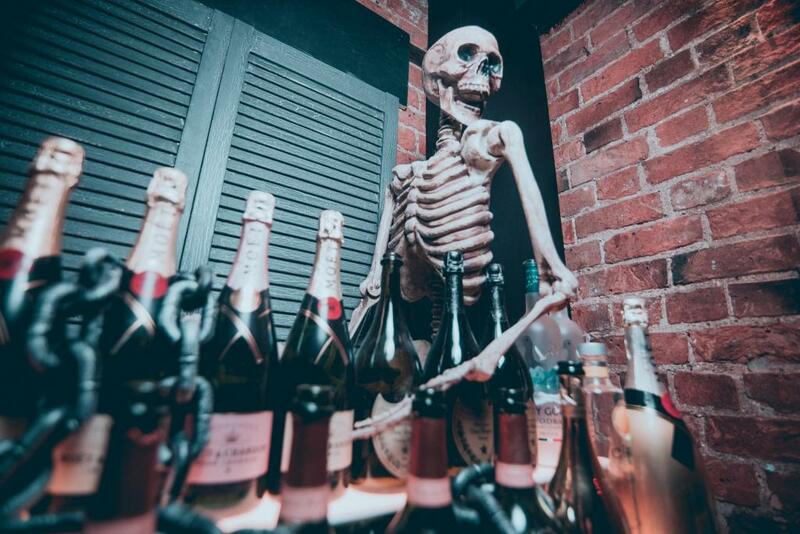 The sheer scale of Halloween now means that it can be hard to know where to start when it comes to planning your big night out. What to be, where to go; the possibilities are endless. Thankfully, this is where Licklist lends a helping hand. With years of industry experience, we know a thing or two about what makes a great night out, and what kind of people would we be if we didn’t share our hints and tips with you lot?! Halloween is the one night of the year that us grown ups can go truly crazy, so it’s an opportunity not to be wasted (unlike us). We recommend sorting your costume at least a few weeks in advance, but don’t panic if you’ve left it till the last minute. High street favourites can usually be relied upon to supply us with Halloween basics (think fake blood, vampire teeth and scary lenses) most of which can be worn with regular clothes for a minimalist look. Alternatively, you can join us in going all out because, on Halloween, it’s the more the scarier. Surrounding yourself with the right crowd is the only way to guarantee a fang-tastic night out. No one wants to be hanging around all night with resting witch face, so surround yourself with those who mean the most and you’re sure to have a boo-tiful time. We hope these tips come in handy for your spook-tacular night out, and from everyone here at Licklist, we witch you a very Happy Halloween!